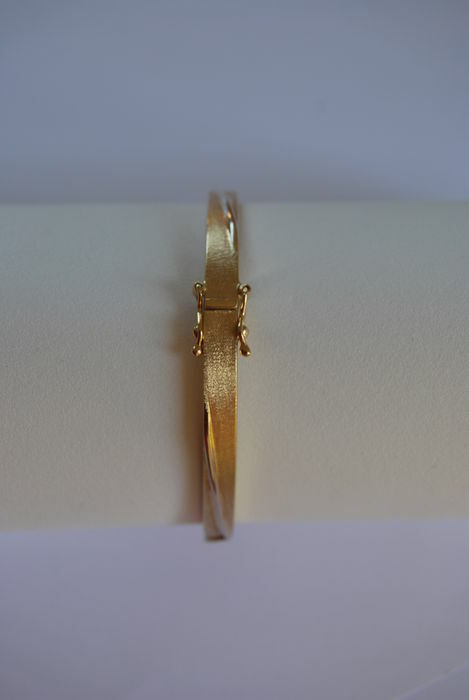 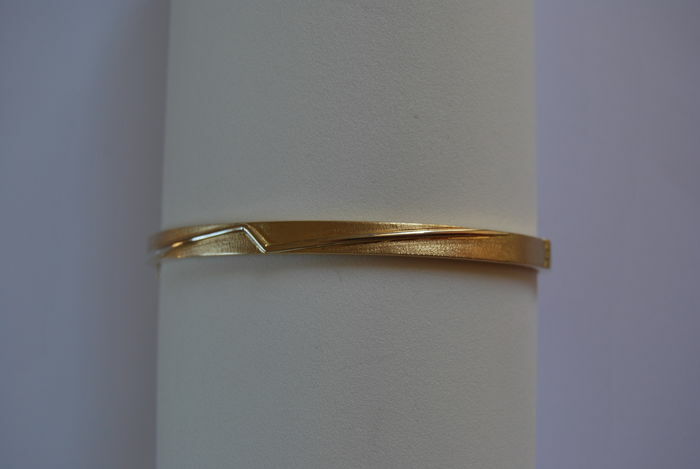 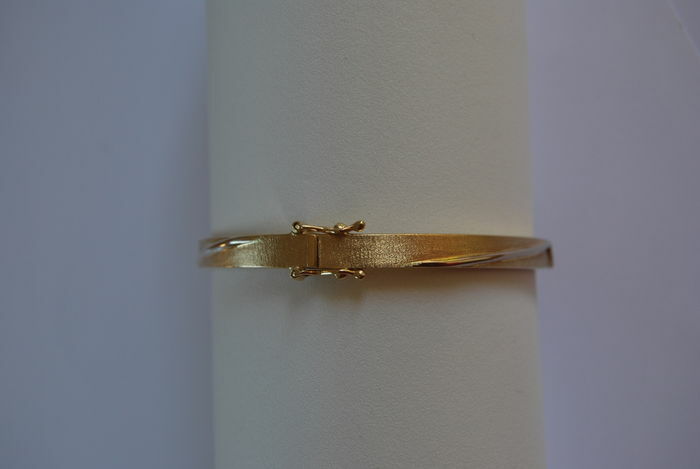 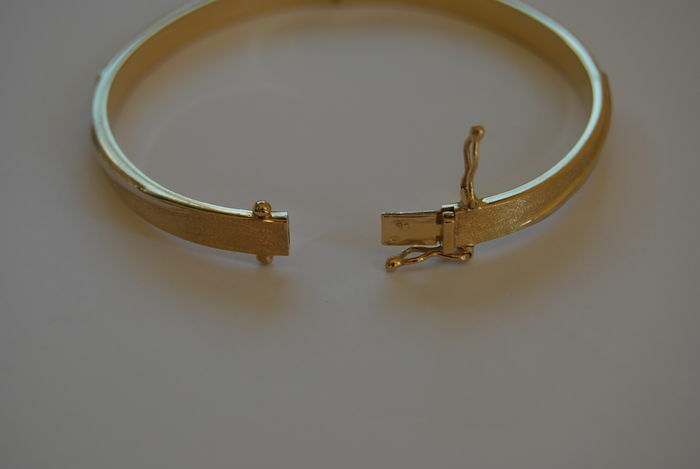 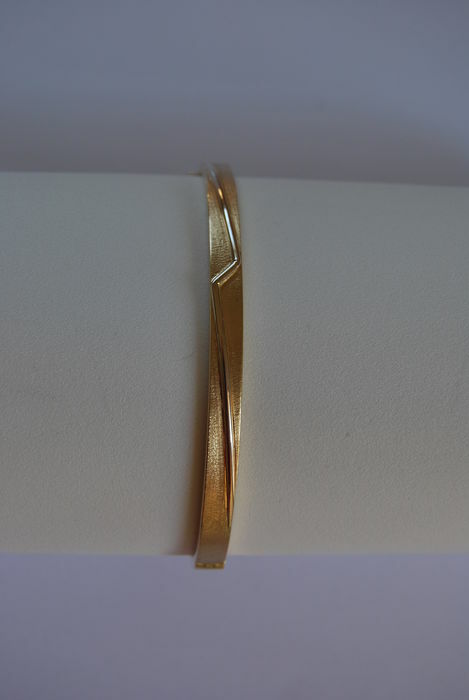 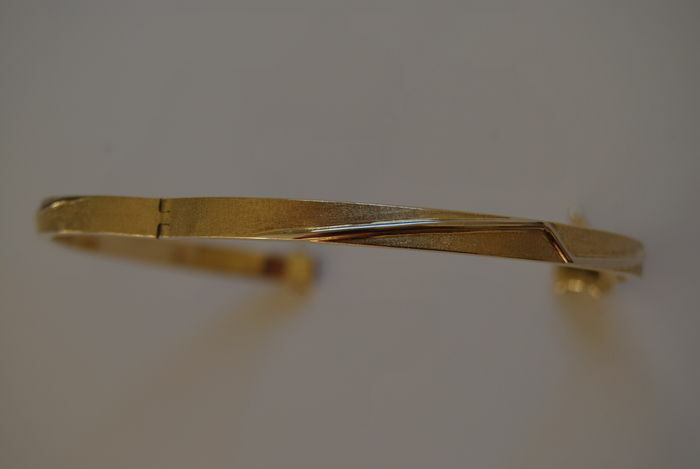 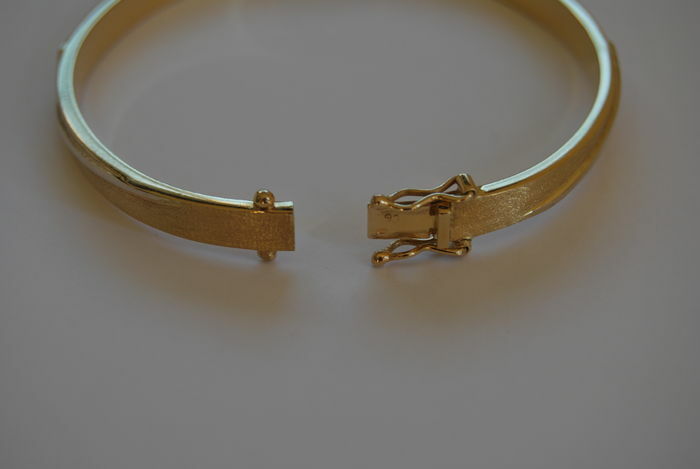 18 kt gold bracelet, perimeter 20 cm, inner measurements: 7 x 5.5 cm, width: 0.50 cm, approx. 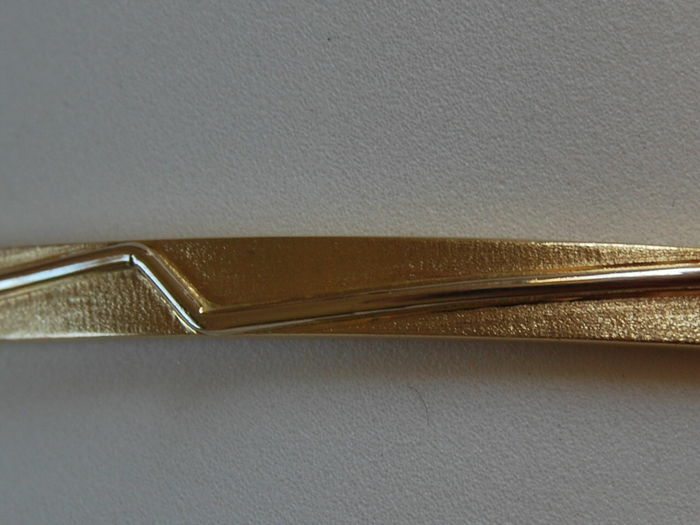 weight: 14.82 g. Gold accented with a fine relief pattern in the shape of a ray of polished gold. 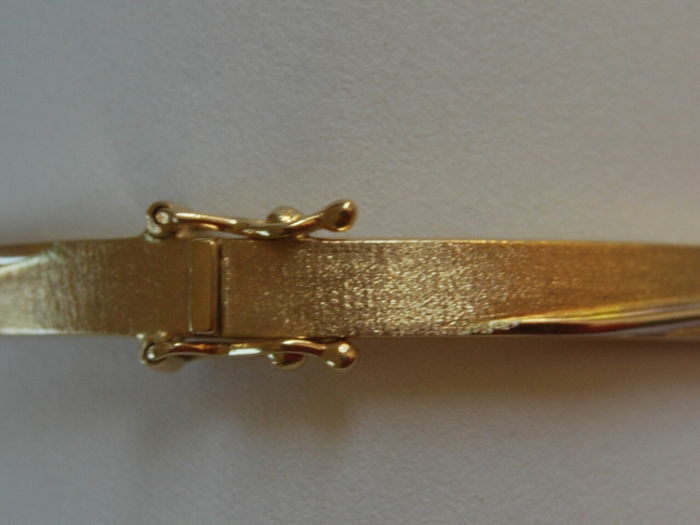 Tongue clasp with double figure eight safety device. 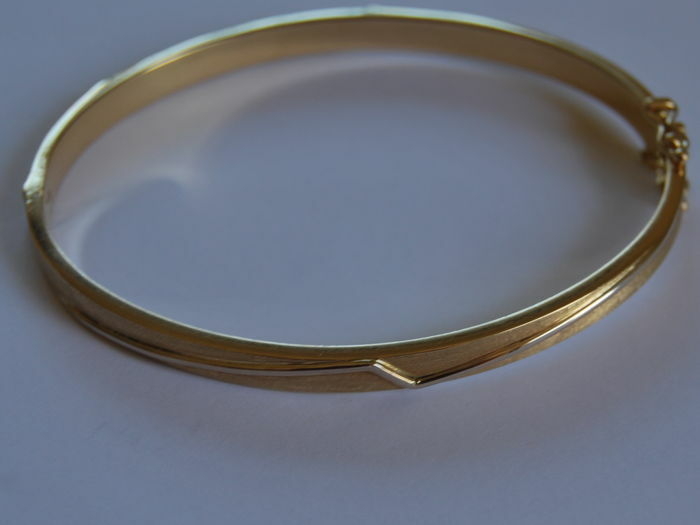 Used, but in very good condition, as can be see in the photos. 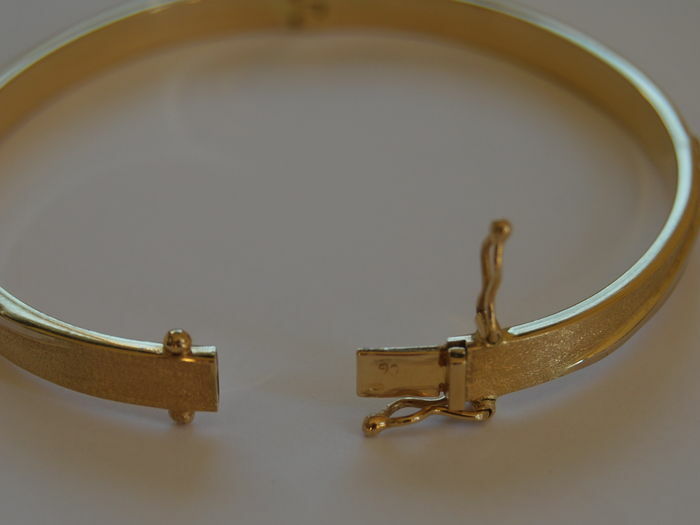 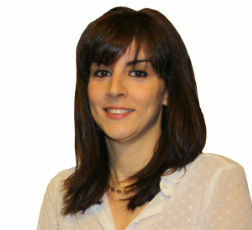 The buyer will be responsible for any additional charges arising from taxes and custom fees, when applicable.